They’re totally going to land on that crab. 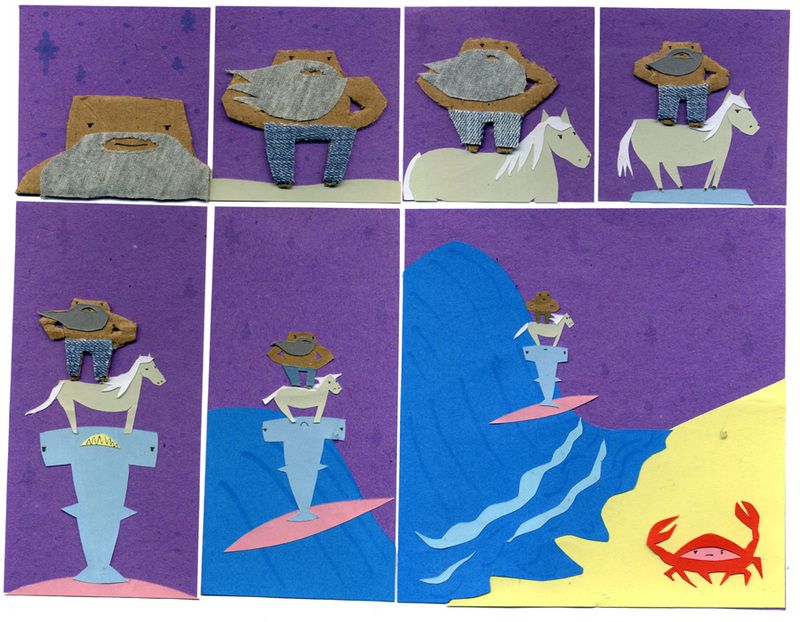 So… Carl is standing on a pony, the pony’s standing on a shark, the shark is surfing, and the crab is gonna get run over by Carl, the pony, and the surfing shark. Good eye! But remember, everyone makes mistakes! Even Cabbage Patch Kids! 1st – It’s still there, just drawn on with a brown marker, maybe. 2nd – Don’t you think it would be super hard to cut a tiny beard with big scissors? I am TOTALLY making this my new desktop. It’s the new Town Musicians of Bremen. 1st the shark is fierce, then downturned mouth, then concerned…is he afraid of crab?